I didn’t grab a photo of this pan before I started scrubbing it, but trust me, it was crazy rusted – basically a solid layer of red. 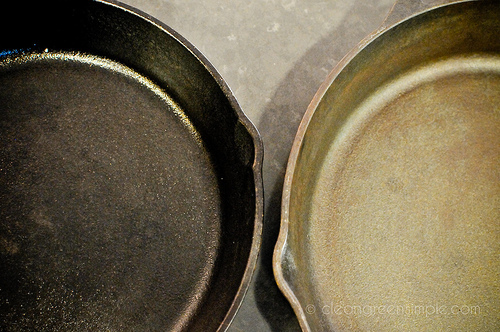 That’s actually not so hard to fix – just mix together some vegetable oil and salt and scrub vigorously with a stiff metal bristle brush until your pan is restored to a sort of greyish color. Once you’ve scrubbed it with oil and salt, you can wash again it with regular dish soap to get the oil off. 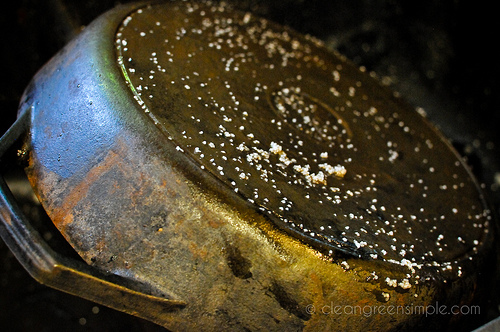 Enjoy the experience of washing your cast iron with dish soap, because this is the only time you should be doing so. 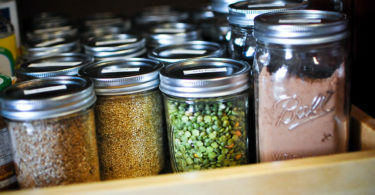 Preheat your oven to 350 degrees and lay a cookie sheet or sheet of aluminum foil on the bottom rack to catch any oil drippings. Using a brush or a rag, coat every part of your skillet liberally with vegetable oil or shortening (I used safflower oil in case you’re curious). Make sure to coat both sides – I did the inside of the pan on the counter, then flipped it, placed it on the oven rack, and then coated the bottom to minimize the mess. Bake it for about an hour and then turn off the oven and let it cool. You should have a nicely darkened pan with a good layer of seasoning. 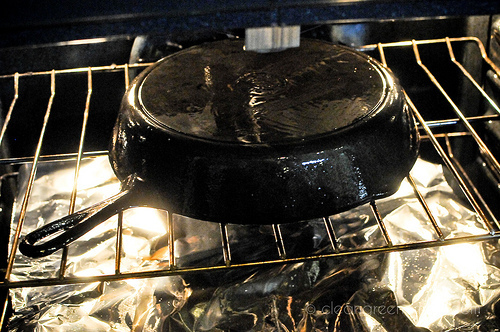 If it’s not completely black, you can re-coat it with oil and bake it for another hour.
! ), so I think it’s worth the effort to have one or two in your arsenal. 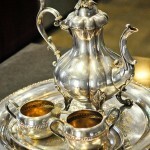 To read more about what pots & pans I recommend you can check out this post. Just the lesson I needed! Thanks for being so informative and psychic! 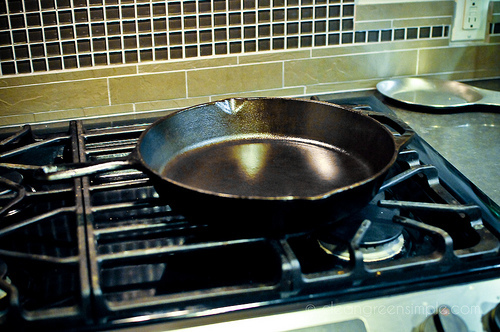 Cook’s Illustrated recently wrote an article about seasoning cast iron pans and said flax oil provides best season. They said they even ran theirs through a commercial dish washer after seasoning with flax oil and it didn’t wash off. I’m planning to try that method next time mine needs sprucing up. Thanks for all the tips. I remember my mom going outside and setting it on fire. But I dont remember how she did it. Any help will be appreciated! I have her old deep fry pan. Its not rusted but has a lot of what i think is grease build up on it, esp.the sides where grease spilled over the sides. Clear and informative. Thank you. I cleaned mine in my self-cleaning oven on the lowest time available and all the built up gunk came off. Washed with dishwashing detergent and re-seasoned. Works great.